The pump for low-viscosity media, with the (r)evolution in pump technology: the X-LIFT quick change system. 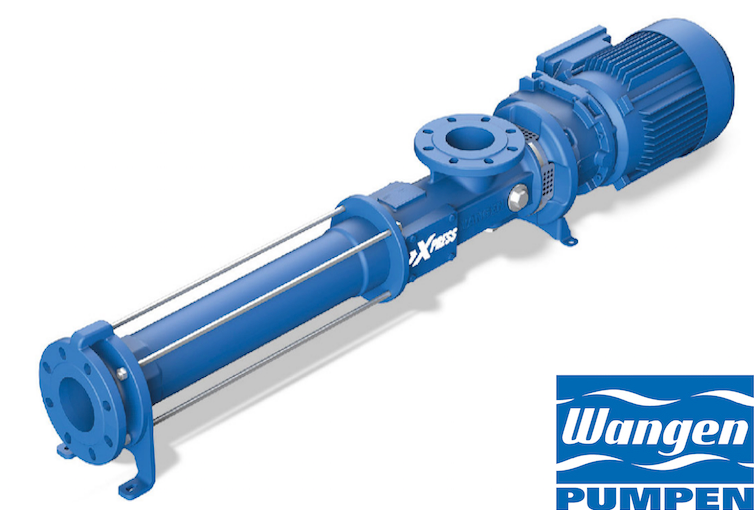 The latest innovation from WANGEN PUMPEN. The Xpress pump range has been specially developed for easy maintenance and to considerably shorten the servicing time and thus reduce costs. This is achieved with a typical WANGEN complete solution that makes no compromises. Reliable pumping of media, along with fast rotor and stator changes are ensured by the X-LIFT quick change system developed by WANGEN PUMPEN. The X-LIFT flange is constructed on standard flange design principles. This ensures the high mechanical stability of the pump housing. Therefore we avoid weak non-standard construction with increased risk of product leakage. And thanks to the block construction, it remains extremely compact. A clever solution that lives up to the high quality standards set by WANGEN PUMPEN.